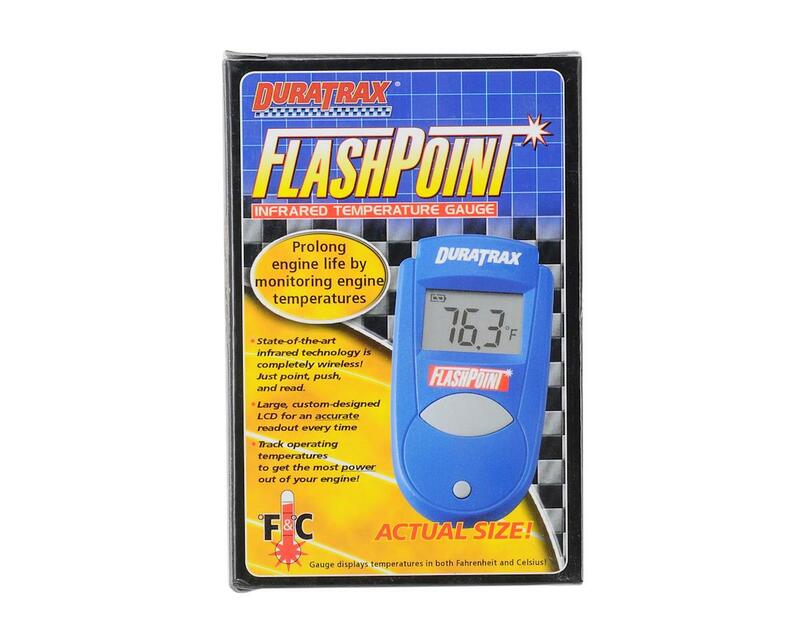 This is the DuraTrax FlashPoint Infared Temperature Gauge. Just point, push the button, and read the results – one second later! 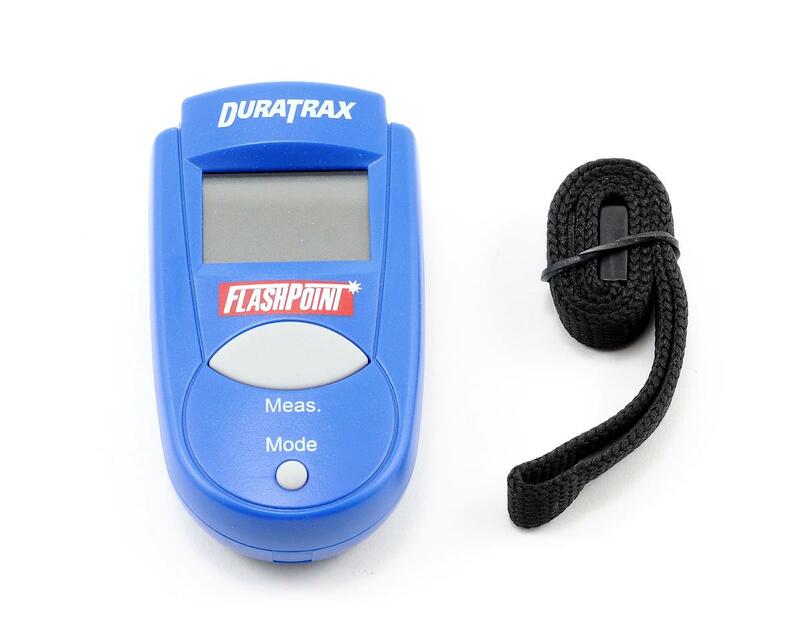 It's that easy to check temperatures with the FlashPoint infrared temperature gauge. Palm-sized, 1.13 ounce infrared thermometer unit requires NO direct contact with heated surfaces. Reads a very wide temperature range, from –27 to +428°F (–33 to +220°C). Special mode settings let you find, hold and display minimums and maximums of fluctuating temperatures to provide the most accurate information. Auto-off timer preserves battery power by shutting down the unit after 15 seconds if not used. Infrared temperature gauge features a large, custom-designed LCD for easy viewing. Size: 0.7 x 1.5 x 2.7"
Handy wrist strap and lithium battery included. Excellent product! Infinitly useful. I have used it to monitor the temp of my freezer, cat , bong , and of course my engine. Always super accurate, and you can alter the emmisivity to match the material your testing to ensure a correct reading. And the price is excellent! Buy one even if you don't own any RC stuff! Nice and accurate and easy to use. However mine fell apart within in a month.. This is my first temp gun but it is great, should be a really good R&D tool. It works great and you don't have to go to school to learn how to use it, just point and shoot then read. great value for the money. My only knock is that it was alot smaller than I thought it would be but that turns out to be a good thing because you can read the top of the motor with the body still on the Slash. I love mine. I got it a while back. It's a great cheap Temp Gun!